Just wanted to let all of you know that you can now submit your clothing line for TeeMadness 2012! Last year filled up in just a matter of hours so you should act quick! In case you haven’t heard of TeeMadness here is a rundown. TeeMadness is a March Madness style tournament pitting 64 indie clothing lines against each other to see whom is the best brand around while competing for various prizes from Threadbird, StickerMule, Storenvy, Cheapest Buttons and Launch Hype. Aside from the great prizes being apart of TeeMadness provides each brand a ton of exposure and typically increased sales. 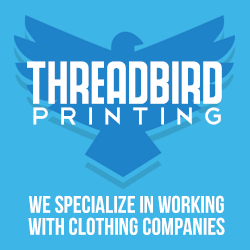 –1st place Grand Prize: $250 credit to Threadbird, $100 credit to Stickermule, $50 credit to Cheapest Buttons, a custom Storenvy theme (by Storenvy), and $50 cash from LaunchHype! –2nd Place: $200 credit to Stickermule and a $50 credit to Cheapest Buttons! –3rd & 4th Place: $100 credit to Stickermule and a $25 credit to Cheapest Buttons! –5th, 6th, 7th, & 8th Place: $25 cash from LaunchHype! Make sure not to wait to long as TeeMadness tends to fill up fast! When does the voting start and where are the brackets?